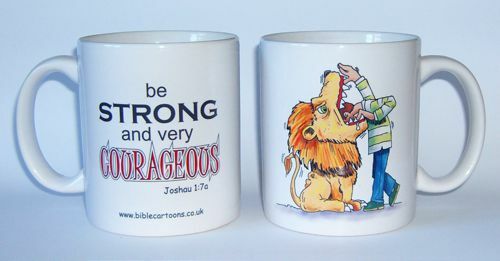 I have received the 3 mug designs I sent off to be printed. I’m very pleased with the results. I’m planning to add merchandise pages soon, so that my viewers can purchase these mugs & many more products. This design is a literal interpretation of Matthew 17:20! This design is based on Joshua 1:7.